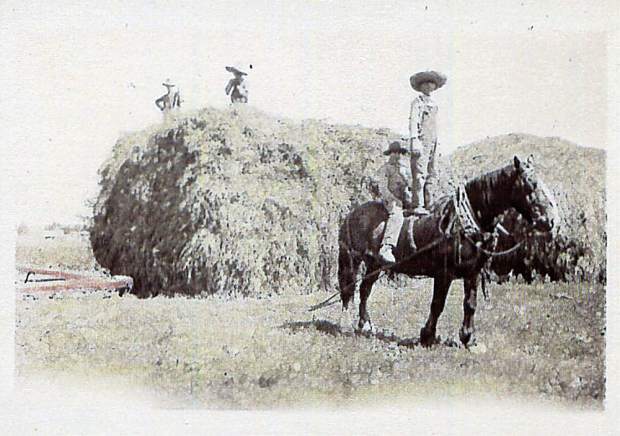 American family farms were once as ubiquitous as worker bees in hives. Sadly, like the recent collapse in honey-making colonies, many family-run agricultural endeavors have given way to urban sprawl, tough financial decisions or next generation disinterest. Bee Family Farm Museum in north Fort Collins not only still works the land but also serves as a living tribute to its beginnings deeply rooted in Colorado soil. Liz Harrison, whose maiden name is Bee, resides on her family's property with her husband of 44 years, Richard Harrison. He also was farm-born and raised, on a small acreage in Vona, Colo. The historic Bee land is as precious to the Harrisons as any other family heirloom passed down from generation to generation. It's Liz's genealogy recorded in layers of soil, as well as by pen on paper or computerized files. Liz Harrison's great grandparents, John and Fanny Bee, arrived from Iowa to homestead two miles west of the current farm in 1882. Her great-uncle and aunt, Al and Lizzie Morse, likewise arrived and farmed a nearby property for 10 years before buying the original 160 acres of the present day Bee Family Farm in 1894. After Al and his son passed away, the Bee's son, Arleigh (Liz's grandfather), took over the operation for his Aunt Lizzie. Progress and a bit of prosperity arrived in 1902 when the Bees sold their homestead to the North Poudre Irrigation Company and moved everything they had, including their two-story house, to the Morse property. Times were changing dryland farming for the better with introduction of irrigation methods that allowed addition of sugar beets and new outbuildings. More monumental changes came soon. Fanny Bee dies in 1905 and her husband John in 1906. In 1908, Arleigh married Al Morse's niece Selecta Shaw and the farm was deeded to them in 1910. Arleigh dug one of the first irrigation wells in the area, which greatly improved irrigation and conditions for the lambs he raised. 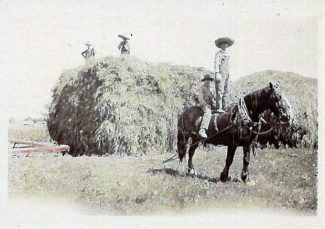 The youngest of Arleigh and Selecta's three children, son Francis, who is Liz Harrison's father, joined the farming operation after graduation from Colorado A&M, now Colorado State University in 1939. He began a dairy herd of registered Jersey cows and remained on the farm along with his wife Sylvia (nee Saue). Of their seven children, Francis and one brother continued to farm the property until recently. But while the Bee family has lived on their land for four generations, the acreage itself shrunk from its original 160 acres when CSU bought 140 of them for a research farm. The remaining Bee property raises six acres of grass hay and maintains a few dairy and beef cattle, lambs, pigs, chickens and turkeys. Plus, 10 acres house the farm museum, which evolved from a series of events beginning in the 1990s. In 1994, the farm received Centennial designation just two years before Francis Bee's death. That 1996 somber event commenced the sorting through of old family heirlooms. Liz Harrison, who'd taught history to her home-schooled children, delighted in the items' chronological purposes and diversity. She desired to share them with others. 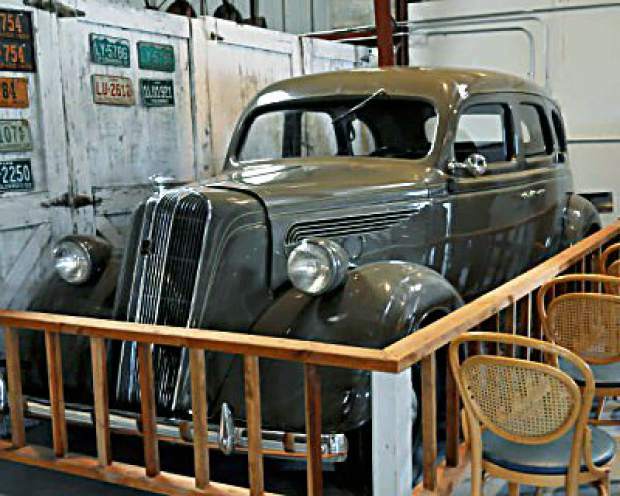 In 2002, the National Register of Historic Places added the property to its prestigious list and, in 2008, the Harrisons opened their museum called the Bee Family Centennial Farm. "We want to educate people on the history of northern Colorado agriculture through displays and hands-on activities, with an emphasis on the past 100 years of sugar beet farming, irrigation and lamb feeding." Its vision statement further expounds on the "why" of the museum's purpose: "The Bee Family Centennial Farm is built on the assumption that the preservation of our American history is a fundamental resource for the enlightenment of our future. 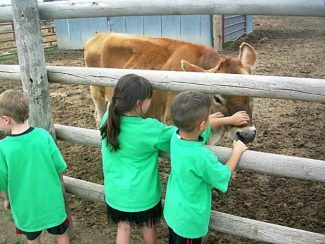 It makes traditional life on a farm, dating back to 1894, accessible to all ages that might not otherwise have like exposure or knowledge. It provides an educational comparison of agricultural means, past and present. The intention is to share the farming history of Northern Colorado with others in a traditional, engaging and authentic way." On display to the public are two family homes (built in 1894 and early 1940s); a Mexican migrant workers house; milk barn; shops with tools and machinery; old photos, records and letters; and much more. 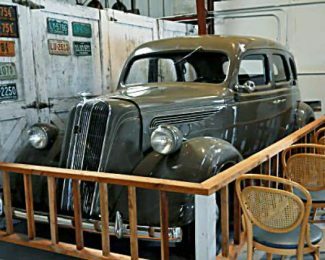 Cars 'back in the day' weren't traded-in every two years, so visitors can view a 1924 Model T Ford, a 1937 Nash LaFayette and a 1947 Chevy. Buzzing with activity, Bee Family Centennial Farm special events educate and entertain visitors. On June 14 a vintage baseball game will be held. Pioneer Living Day on Sept. 27 will include demonstrations and displays of spinning, quilting, food preservation through canning, butter making and more, draft horse models and mini horse-drawn hay stacking equipment. Hands-on activities throughout the season are designed to fascinate and delight children. 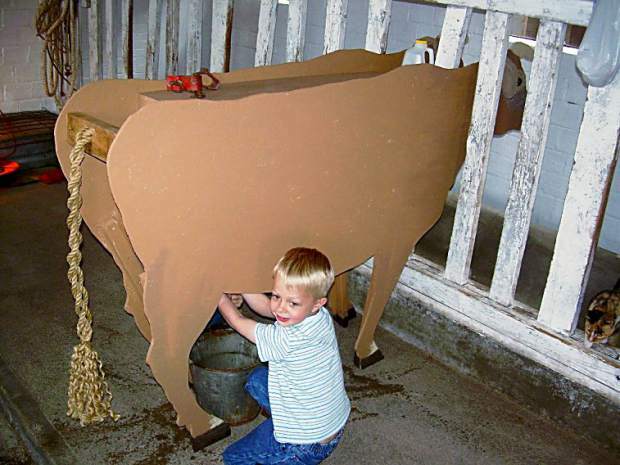 Kids can wash clothes on a scrub board and hang them to dry on a line; milk a wooden cow (real ones opted out); gather wooden eggs from under plush faux chickens (ditto); assist in irrigation procedures; grind corn with a hand-grinder; pull a horse-drawn plow. Guided tours by Liz and Richard Harrison chronicle their land's progression. Liz explained that there were originally buffalo wallows, long-since farmed over. Adjacent Boxelder Creek has flooded several times, thereby influencing agricultural topography. And, although nearby Wellington became a town in 1905, its water was originally quite hard. The Bee family hauled all its domestic water from Fort Collins until 1962 in a 500-gallon water wagon. Stored in a cistern, the live-giving liquid which supplied all cooking and bathing needs for family and employees lasted only two weeks before the trek to town had to again be made, even in the winter. The well took care of all garden and livestock water needs. The farm's future remains in good farm hands. Bee Family Centennial Farm is open May through October on Fridays and Saturdays only, from 9 a.m to 4 p.m. Admission is $7 for adults, $5 for seniors and $3 for children.